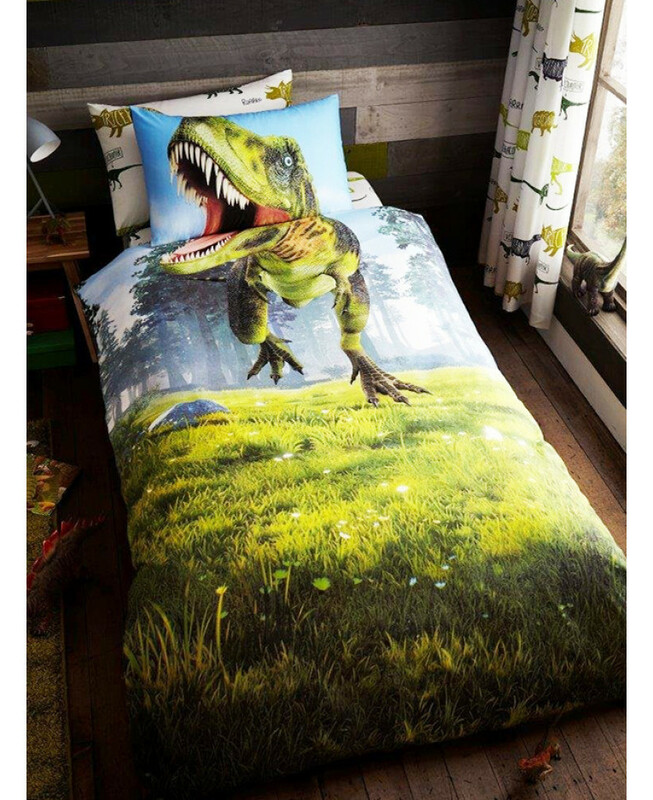 This Dino T-Rex single duvet cover and pillowcase set is the perfect finishing touch for a dinosaur themed room. The cool design features a detailed image of a Tyrannosaurus Rex emerging from the forest with his head across the duvet cover and pillowcase, so your little one can drift off to sleep with their head in the mouth of the ferocious dinosaur! Made from a polycotton blend, this bedding set is suitable for machine washing and tumble drying on a low setting. A coordinating fitted sheet and other dinosaur items are available from our website to complete the look.